Beyer Carpet Cleaning is known for their residential carpet cleaning across the San Antonio market but did you know that they also specialize in commercial carpet cleaning? Not only can they clean commercial carpet but they can also do commercial tile & grout cleaning as well as upholstery cleaning. 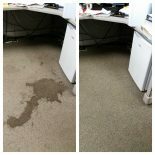 They do all kinds of commercial cleaning that isn’t just limited to carpet cleaning, upholstery cleaning or tile and grout cleaning they have also cleaned cubicle partitions, water extractions, greasy kitchen floors and so on. 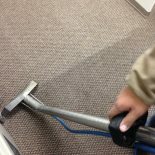 Beyer Carpet Cleaning has reasonable rates when it comes to commercial cleaning. They tend to be on the lower end compared to other professional cleaners and offer the same great services and products as they do for residential cleaning. There are so many carpet cleaners in San Antonio who will try to charge as much as possible when it comes to businesses because all they see is dollar signs. Although, it is more costly to clean a commercial office than a residential room this shouldn’t mean that commercial businesses shouldn’t receive fair pricing. If a business is unsure of their square footage or would like an in person estimate Beyer Carpet Cleaning will schedule a technician or manager to visit the office and measure the areas of interest. Based off of square footage, the amount of time that will be needed to clean and condition of the carpet, tile or upholstery Beyer Carpet Cleaning will then give a price with all things considered. Commercial carpet cleaning does cost more than residential but there are a lot of variables to consider when it comes to commercial cleaning. As mentioned Beyer Carpet Cleaning will provide the same great service to their commercial clients as they do their residential clients. Carpet cleaning will include a hot steam clean with spot treatment and deodorizer. Tile and grout cleaning will still include an alkaline cleaner, a good scrubbing and steam clean. Upholstery cleaning will also include a spot treatment, deodorizer and steam clean. 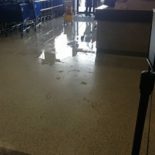 Water extractions and restoration will include removal of standing water, a good steam clean with spot treatment, deodorizer, sporicidin to help prevent mold growth and smells, and Beyer will put down fans to help the dying processes. The faster the drying when it comes to water extractions the better. Commercial businesses may have a higher rate but they will always receive the highest quality of cleaning and a fair price. Beyer Carpet Cleaning starts their commercial carpet cleaning at just $199 for up to 800 square feet of carpet! Beyer Carpet Cleaning has worked with so many companies that they even have a few that are on a regular schedule for carpet cleaning. They clean a chiropractor’s office and a computer office a few times a year. They have also done regular cleaning for a couple of the military bases here in San Antonio. They have cleaned the floors of popular restaurants, retail stores, professional offices and so much more. Some of these business have loved their work so much so they have used Beyer Carpet Cleaning for their personal homes and have listed Beyer as a preferred vendor for carpet cleaning with realtor companies and on base housing. Over the years Beyer Carpet Cleaning has continually proven themselves and has earned the trust and has greatly expanded their portfolio in the commercial cleaning field. Contact Beyer Carpet Cleaning today and see what they can do for your business.